With spring here and temperatures on the rise, hopefully you have some great holiday plans set for this weekend. I just wanted to quickly update you with what’s been going on in City Hall and across Hoboken. 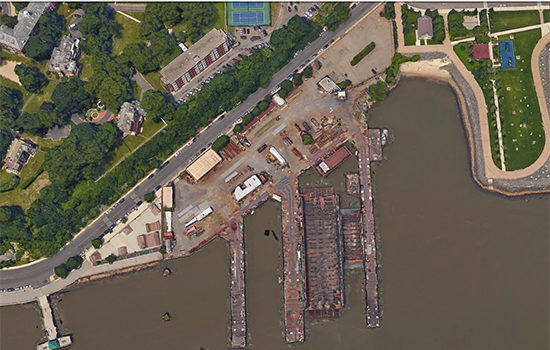 Union Dry Dock is the last remaining industrial maritime use in Hoboken and the final piece to the puzzle of connecting our entire riverfront. Unfortunately, due to years of inaction to acquire the land at fair market value, the land was sold to ferry operator New York Waterway in November for $11.5 million. The intended use is as a repair and refueling facility for their ferry fleet, which in my opinion, and in the opinion of the entire City Council, is incongruent with the nearby neighborhood and antithetical to connecting our waterfront. In response, the City Council authorized the purchase of the land for $11.63 million -- a fair market price which is over $100k more than what NY Waterway paid for the property less than five months ago. I have personally urged the administration to work with New York Waterway to ensure they find an adequate home and avoid the use of eminent domain unless absolutely necessary. After all, a protracted legal fight like the one we had to acquire the southwest plaza could adversely impact ferry schedules and fares while obligating our City to pay millions more in legal fees. I am hopeful that the administration will use the tools granted to it by the Council wisely. To relieve any fears, this isn’t a question of if we’ll own the land, it's a question of when and how much we’ll pay for it. Once acquired, we will then need to have the tough conversation on how to finance the actual construction of a waterfront asset. On the other end of the waterfront, directly behind the U.S. Post Office (89 River Street), is a surface parking lot, which I've long advocated to become a world-class Hilton Hotel. Such a project would not only activate an underutilized portion of the southern waterfront, steps from mass transportation but also generate $1.7 million in yearly revenue for the City and create over 120 permanent jobs. With new costs like Union Dry Dock and the Northwest Resiliency Park on the horizon, we need smart revenue generators like this for the City. With the proposed hotel site sitting squarely in the First Ward, my home district, I've worked for the past two years with the neighborhood and all stakeholders to design a plan that activates the waterfront with ground floor retail, meeting and event space, as well as a one of a kind rooftop restaurant. Additionally, working with my Council colleagues Jen Giattino and Peter Cunningham, we addressed core issues like parking, traffic congestion and pedestrian safety. Further, to protect neighborhood quality of life, I specifically required the plan to be set back along Newark Street to allow more light and air at street level while protecting views towards the Hudson River. Interestingly, after voting against the redevelopment plan and publicly campaigning against the project last year, Mayor Bhalla has suddenly switched stances and has joined the City Council in supporting the balanced project that we always knew it would be. The new plan advocated by the mayor reduces the height of the building by roughly 50 feet, but eliminates the setback -- creating a wider building with nearly identical square footage and bulk as the original plan. Though the mayor’s flip-flop on this will certainly be noteworthy to his supporters, I want to assure everyone that this is the right direction for Hoboken. I look forward to continued work with the administration, stakeholders and neighborhood to see the project forward. For more information, click here -- please let me know your thoughts. 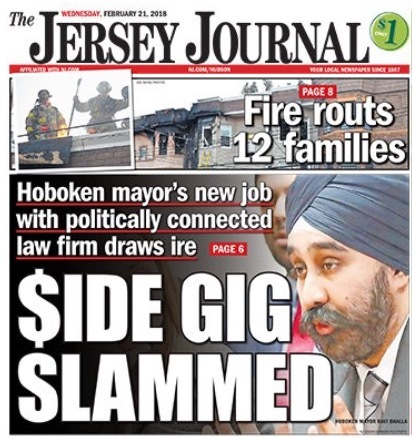 While on the topic of broken campaign promises, you may recall when former Councilman Bhalla’s employment with one of the state’s most politically-connected law firms was a major topic of discussion during the mayoral campaign. As public concern mounted, he announced that if elected he would leave his firm to be a full-time mayor. But now, Mayor Bhalla has changed course and accepted a job as an attorney at the law firm Lavery, Selvaggi, Abromitis & Cohen -- a real estate, land use and zoning law firm that’s just as much a part of the establishment political patronage network as his former firm. Despite paying our mayor $116,100 -- the highest in Hudson County and one of the top mayoral salaries in the entire state -- our mayor's second job will compensate him $60k base salary from his side job but more alarmingly, unlimited commissions on all new business he brings to the law firm. In Jersey politics, this sadly only means one thing -- peddling and trading professional contracts for personal and political gain. In his own words, Mayor Bhalla “has no specific responsibilities” at the law firm and “is not expected to spend any time” at his second job. Why would any employer want a no-show employee without any specific responsibilities? The truth is that Ravi Bhalla has been hired to use his notoriety as our Mayor to benefit his new firm. If he secures a new client for his firm, maybe another entity that does business with Hoboken for example, he'll be compensated for it. And if a client needs a favor in Hudson County, they've got a Mayor on the payroll. It's the oldest play in the book for the political establishment, and the losers are taxpayers like us who get hit with the bill. That's why it's so important for the City Council to act as a watchdog on this issue and ensure that Hoboken isn't for sale. I am currently in the process of drafting a comprehensive ethics ordinance to ensure that our mayor’s second job is transparent to all citizens and that he is held to the same standard as any other City employee. Read more as to why this is a startling conflict of interest, by clicking here. As you may recall, on Election Day 2017, Hoboken saw 6 candidates running for mayor and 14 running for City Council to fill 3 seats -- a political circus that confused and frustrated many voters, resulting in a mayor who won with only 32% of the electorate. In response to residents’ concerns, an overwhelming majority (7-2) of the City Council approved a ballot referendum which would allow our community to collectively decide whether or not to re-institute runoff elections. Mayor Bhalla vetoed the ordinance, spreading half-truths and politicizing the issue, but the Council responded by overriding him (7-2) to let the people decide. The question as to how our elections are run is now with you! In opposing runoffs, Mayor Bhalla is essentially limiting the viability for independents to run for political office. Without runoff elections, upstart candidates for City Council and mayor face a nearly impossible task to run for elected office without institutional support as crowded races favor the person who can raise the most money -- the incumbent. Read more on my website about why runoff elections are important and be sure to mark your calendars to vote in the referendum on Tuesday, November 6. Together, I know we can continue to bring new energy and new ideas to Hoboken by encouraging the next generation of policy makers to get involved. I know the question on everyone’s minds -- what’s going on with Washington Street? Many have expressed concern at the rate which businesses have been closing and I agree that it’s troubling. With the introduction of the city’s Master Plan Reexamination this spring, and as chairman of the zoning subcommittee, I intend to begin working with my colleagues to update our city’s 1980’s era zoning to help small businesses and mom and pops. 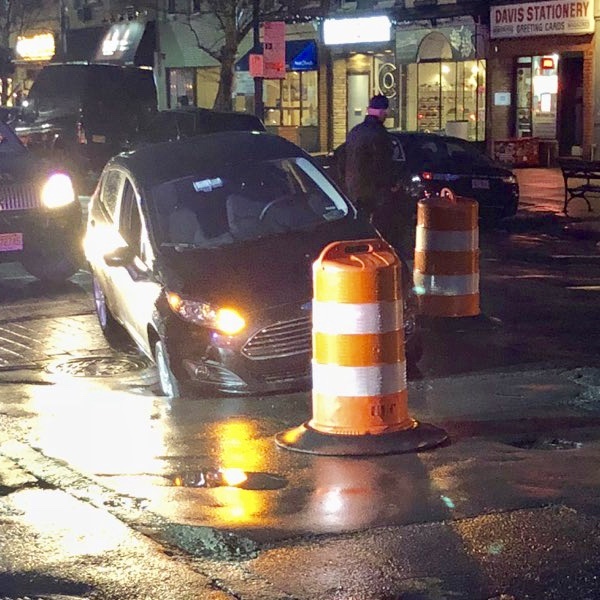 In terms of the ongoing and frustrating resurfacing initiative, City Council recently hosted an open meeting with the contractor as the City is behind schedule and over $1 million over budget. The Council took that opportunity to remind the contractor and administration that the deadline for finishing work on the street is August 21. Further, paving along Washington from 1st through 5th Street will commence in early April once the threat of frost has passed. Last but certainly not least, working with Councilwoman Fisher, I was proud to have supported the administration and sponsored a $5.2 million bond ordinance to aid in city-wide infrastructure repairs. Though I believe bonding should be used sparingly, I do believe that using long term bonds for long term improvements, like infrastructure, is necessary especially given no other funding mechanisms are readily available. I look forward to sharing more on infrastructure projects once the Council passes our final 2018 budget in late April, so stay tuned. Until then, wishing you and your family a very Happy Easter and Passover! Should you ever need anything, please email me at Mike4Hoboken@yahoo.com or call me at 646.372.4341.